Below you will find upcoming dates for exhibits and speaking engagements across the country. We will install out B&W banner display for a week and present on their education night January 9. We will install our American Stories display for a week, gather stories around community on January 30 and present on January 31. I will be leading a staff development workshop for the Alamo Heights School District. We will bring our American Stories exhibit to Chippewa Valley Technical College for their Diversity Week activities. I will install the American Stories exhibit, gather stories and make a public presentation March 7. I will speak March 2 as a part of Rutgers University’s Mark Leadership Conference. As a part of a Sevin Fellowship, I will spend a week with the West Campus residents along with our original banner exhibit. “The Sevin Fellowships bring distinguished individuals in American public life to stay in one of the West Campus Houses and mix with students, sharing ideas and insights with House residents. We will gather stories on campus 3/20 and share them back to the community 3/21. We will have a week long residency with our original banner exhibit and gather stories on campus through a partnership with the chaplain’s office. 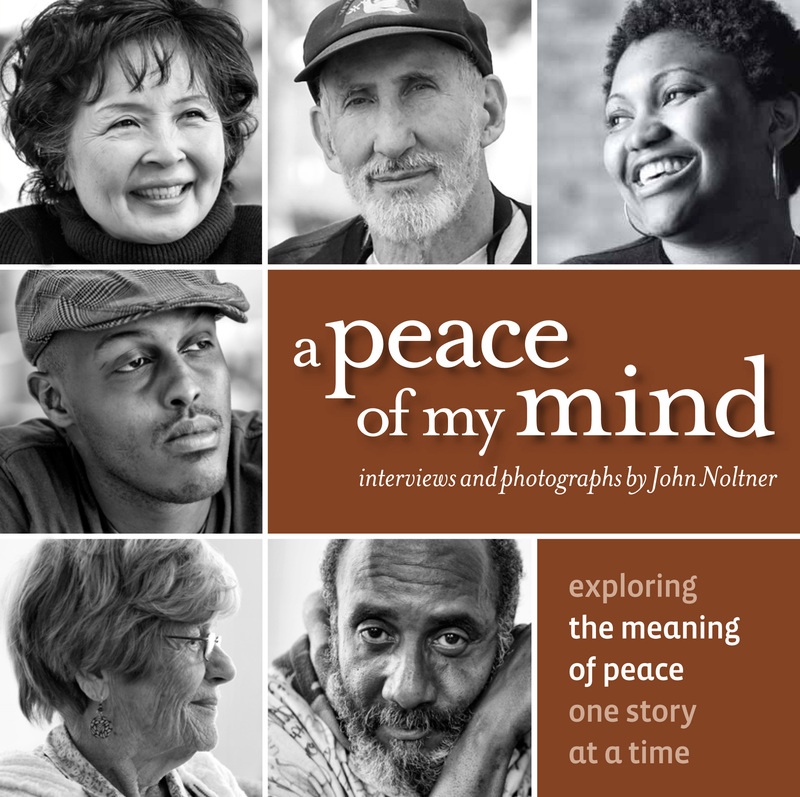 Join us for a free event to celebrate the 10th anniversary of our first interview for A Peace of My Mind. There will be storytelling, music, and a few surprise guests on hand as we explore where we’ve been…and where we are going next. Casual, free, and open to the public. Hope to see you there. We will gather stories and present at the closing keynote for the conference. We will install our American Stories exhibit on campus and gather new stories from the Carleton Community. Details still pending. We will gather stories around reintegrating into family life after returning from deployment in our third year working with Project Sanctuary. I will join the Holden teaching staff for our 5th season in the Village.